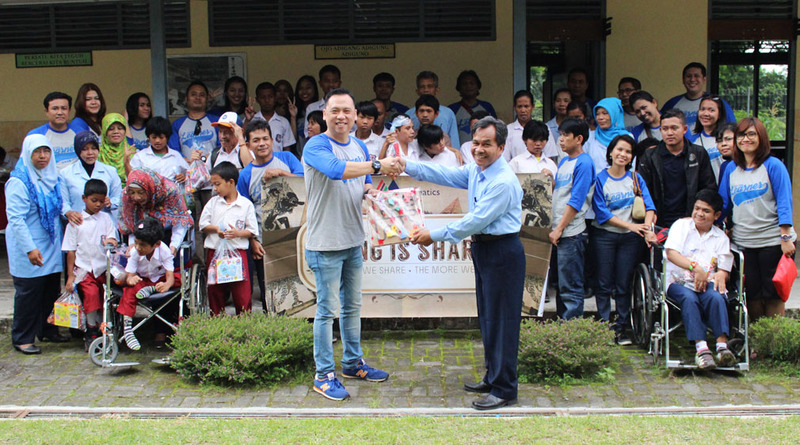 Sleman (4/10), Multimatics is honoured to be able to visit a Special Need Schools (SLB) for the mentally under developed called Panti Asih Pakem at Jogjakarta. All of our staffs contributed in donations and gave all-out effort to give the children of SLB Panti Asih some gifts, snacks, and toys, that brought joy for them. Multimatics has grown steadily for past several years, therefore, this year Multimatics, as an act of give thanks and an CSR action, would like to visit and donate to more charities like SLB Panti Asih Pakem. With these act of giving back, we believe Multimatics can contribute more to the society and strengthen good value as organisation and to our staffs so we can serve our clients better in the future.